FedEx Corporation has announced that they are investing $3.2 billion in bonuses, wage increases, and benefits due to the passage of the Tax Cuts and Jobs Act. The company said that since the tax reform package was signed into law, they are instituting three new programs because they believe the reform will increase investment and GDP in the United States. 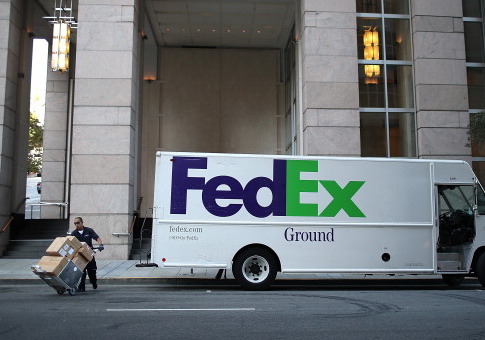 FedEx plans to invest $200 million for higher compensation for its workers. About two-thirds will go to pay increases for hourly workers and the remainder of the $200 million will go to incentive pay for salaried workers. FedEx also plans to invest $1.5 billion for its pension plan to help make sure it stays one of the best retirement programs in the country. Finally, the company will spend another $1.5 billion to expand its Indianapolis hub and they are also planning to modernize their Memphis hub. "FedEx joins a wave of companies awarding bonuses and higher wages to their employees, and increasing investment in the United States, in the wake of historic tax reform, including Starbucks, Disney, Verizon, and JP Morgan Chase just this week," said Speaker Paul Ryan (R., Wis.). "Despite what Democrats may tell you, tax reform is working," he said. "Economic confidence is on the rise, and millions of Americans across the country are already experiencing the benefits of the new law. And next month, 9 out of 10 Americans will see bigger paychecks thanks to tax reform."